During 1916 the architect Walter Richmond Butler designed a new Anglican Mission to Seamen to replace premises in Siddeley Street, which had been resumed by the Harbour Trust during wharf extensions. The buildings, on reinforced concrete footings, are in rendered brick with tiled roofs. Butler designed the complex using a mixture of styles, one of which was the Spanish Mission Revival which had become prevalent on the west coast of America, especially California and New Mexico, during the 1890s. The style revived the architectural legacy of Spanish colonialism of the eighteenth century and the associated Franciscan missions. The revival of the style is explicit in the chapel with its rough-hewn timber trusses, in the bell tower with its pinnacles and turret surmounted by a rustic cross and in the monastic-like courtyard. The adjoining administration, residential and recreational building shows the influence of English domestic Arts and Crafts architecture, with its projecting gable, pepper pot chimneys and three adjoining oriel windows. Walter Butler, architect to the Anglican Diocese in Melbourne, had come to Australia with an intimate knowledge and experience of the Arts and Crafts movement and continued to use the style in his residential designs of the 1920s. The main hall has a reinforced concrete vaulted ceiling. Lady Stanley, wife of the Mission's patron Governor Stanley, laid the foundation stone of the complex in November 1916. The buildings were financed partly by a compensation payment from the Harbour Trust of £8,500 and £3,000 from local merchants and shipping firms. The Ladies' Harbour Lights Guild raised over £800 for the chapel. Most of the complex was completed by late 1917 whilst the Pantheon-like gymnasium with oculus was finished soon afterwards. The substantially intact interiors, including extensive use of wall panelling in Tasmanian hardwood, form an integral part of the overall design. 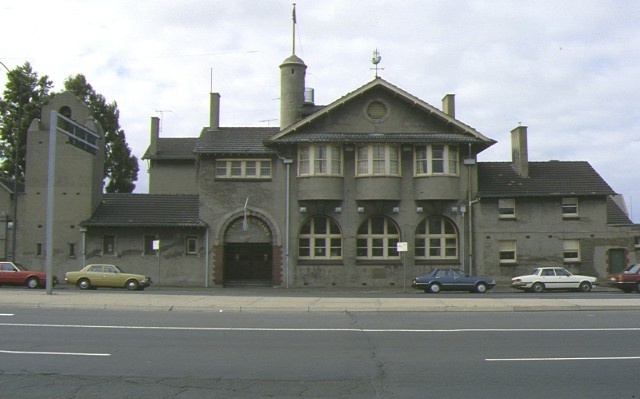 The Missions to Seamen buildings are of architectural, aesthetic and historical significance to the State of Victoria. 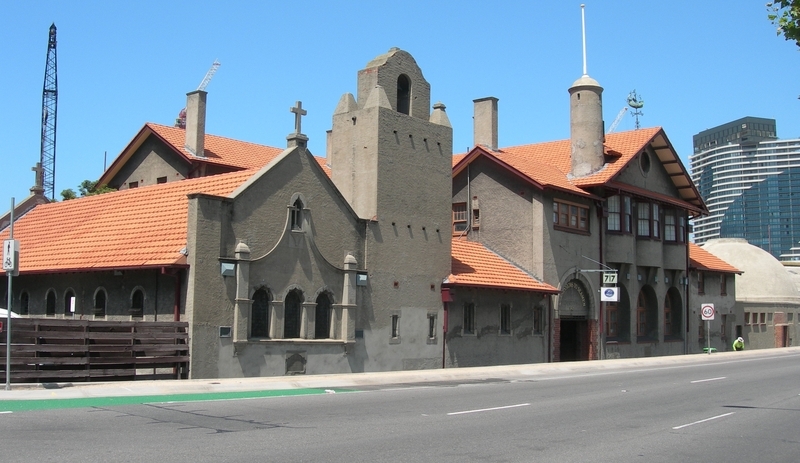 The Missions to Seamen buildings are architecturally significant as a milestone in the introduction of the Spanish Mission style to Melbourne. The style was to later find widespread popularity in the suburbs of Melbourne. The choice of Spanish Mission directly refers to the Christian purpose of the complex. The Missions to Seamen buildings are unusual for combining two distinct architectural styles, for they also reflect the imitation of English domestic architecture, the Arts and Crafts movement. Butler was one of the most prominent and progressive architects of the period and the complex is one of his most unusual and distinctive works. Notable interior features include the chapel, the internal courtyard and loggia, the main hall and lobby and the domed gymnasium with oculus. The chapel is of architectural and aesthetic significance for its timber truss roof and its fine collection of crafted joinery, including the altar and sanctuary chairs with their carved Australian flora motifs. Maritime imagery abounds throughout the complex: some stained glass windows in the chapel depicting stories and scenes associated with the sea; the pulpit in the form of a ship's stern; the large mariner's compass inlaid in the terrazzo floor of the lobby; and the copper ship finial on the roof. Built-in timber cupboards, wardrobes, panelling and studded doors throughout the buildings evoke a ship's cabin. The Missions to Seamen buildings have historical and social significance as tangible evidence of prevailing concerns for the religious, moral, and social welfare of seafarers throughout most of the 19th and 20th centuries. The complex has a long association with the Missions to Seamen, an organisation formed to look after the welfare of seafarers, both officers and sailors, men "of all nationalities". It had its origins in Bristol, England when a Seamen's Mission was formed in 1837. The first Australian branch was started in 1856 by the Rev. Kerr Johnston, a Church of England clergyman, and operated from a hulk moored in Hobsons Bay; later the Mission occupied buildings in Williamstown and Port Melbourne. In 1905 the Rev. Alfred Gurney Goldsmith arrived at the behest of the London Seamen's Mission to establish a city mission for sailors working on the river wharves and docks. The building reflects the diverse role played by the Mission with its chapel, hall and stage, billiards room, reading room, dining room, officers' and men?s quarters, chaplain's residence, and gymnasium. The chapel contains many items which have been donated to commemorate seafarers, including stained glass windows, altar rails, baptismal font, pews, choir stall and sanctuary chairs. The location, size and arrangement of the buildings provide evidence of the volume of shipping and the scale of activity on the docks and wharves of Melbourne throughout much of the 20th century and the support structure created to assist those working in the shipping trade. 1. All of the building marked B1 on Diagram Number 1496 held by the Executive Director. 3. All of the land shown on Diagram Number 1496 held by the Executive Director being all of the land described in Crown Allotment 10, Section 98. The Victorian Missions to Seamen was established in 1905 in Siddeley Street with the object of spreading the Christian word to sailors, and providing spiritual and temporal welfare. It was an amalgamation of the London Seamen's Misison and the existing Victorian Seamen's Mission, which first held religious services in 1857 on a hulk in Hobson's Bay. 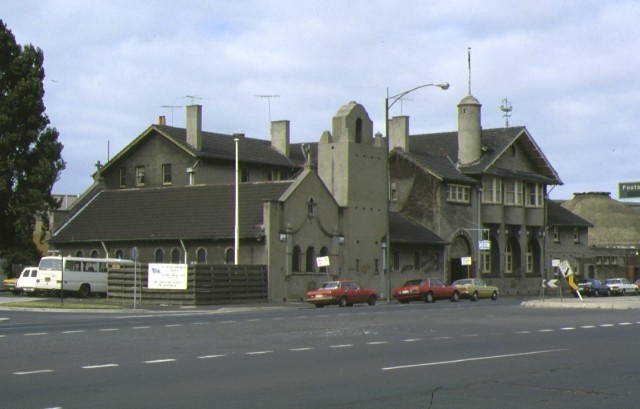 Later missions were established also at Williamstown and Port Melbourne. The first chaplain of the Victorian Missions was Alfred Gurney Goldsmith, who had been Seamen's Chaplain at Hong Kong in 1895-96. The institute was established by the Church of England but drew on all Protestant denominations for financial support. Premises were leased in Siddeley Street until 1916 when the Harbour Trust had to evict the Mission due to extensions to its wharf. However they provided 8.500 pounds compensation towards the construction of new premises. Tenders were called in May 1916 for work costing 11,600 pounds although the final cost was probably about 15,000 pounds. Other donations towards the cost came from various Melbourne shipping firms and from the Ladies Harbour Lights Guild, which collected 700 pounds towards the chapel. Dedication of the Institute and chapel took place in Spetember 1917 by the Archbishop of Melbourne and the site was officially opened later the same month by the Governor of Victoria. The complex has a long association with the Missions to Seamen, an organisation formed to look after the welfare of seafarers. The organisation had its origins in Bristol, England when a Seamen's Mission was formed in 1837. The first Australian branch was started in 1856 by the Rev. Kerr Johnston, a Church of England clergyman, and operated from a hulk moored in Hobsons Bay; later the Mission occupied buildings in Williamstown and Port Melbourne. 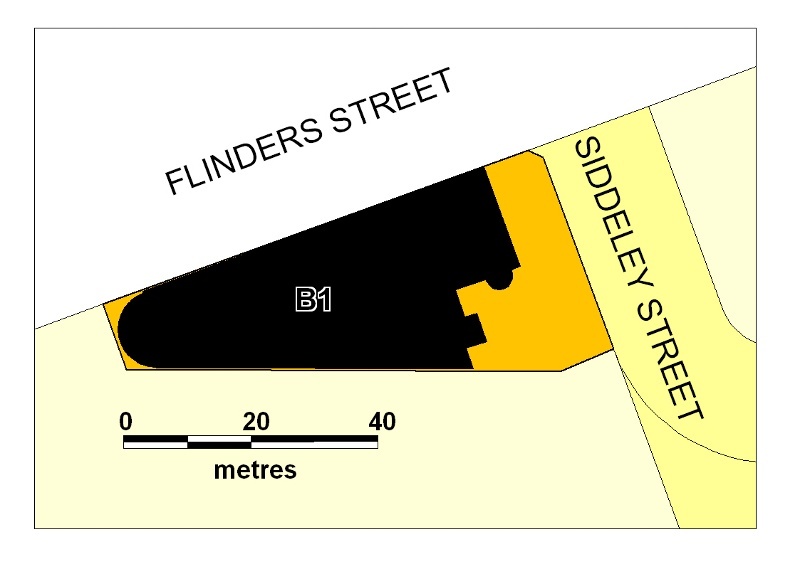 The location, size and arrangement of the buildings provide evidence of the volume of shipping and scale of activity on the docks and wharves of Melbourne throughout much of the 20th century and the support structure created to assist the largely itinerant population involved in the shipping trade. 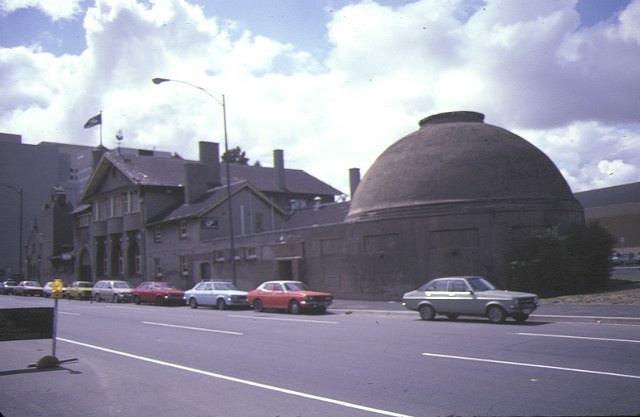 The Missions to Seamen buildings exhibit unusual design characteristics with the combination of two distinct architectural styles, English domestic revival and the Arts and Crafts movement. Butler was one of the most prominent and progressive architects of the period and the complex is one of his most distinctive works. The complex has aesthetic significance, in particular for its chapel with its extensive use of Australian timber and carved timber decoration. The scale of the complex, its facilities, architectural details, furniture and fixtures demonstrates prevailing concerns for the religious, moral and social welfare of seafarers. * Refurbishment of bathrooms and toilets including removal, installation or replacement of sanitary fixtures and associated piping, mirrors, wall and floor coverings. * Installation, removal or replacement of kitchen fixtures (excluding original kitchen cupboards) including sinks, stoves, ovens, refrigerators, and dishwashers and associated plumbing and wiring. * Installation, removal or replacement of smoke detectors and exit signs. The Missions to Seamen buildings have architectural significance as an important work of Walter Butler and as an unusual combination of Spanish Mission and Arts and Crafts styles. They also have historical and social significance for their associations with the Missions to Seamen organisation. The exemptions policy recognises that despite some alterations the exterior and interior of the building retain a high level of integrity. The purpose of the permit exemptions is to allow works that do not impact on the significance of the place to occur without the need for a permit. Alterations that impact on the significance of the exterior and interior are subject to permit applications. Significant elements in the interior include original finishes and details, stained glass and leadlight windows, and many original fittings and objects. The joinery throughout the buildings is an important feature. This includes doors, wall panelling, built-in cupboards, the timber trusses of the chapel, and furniture and fittings such as pews, pulpit, altar, and sanctuary chairs.